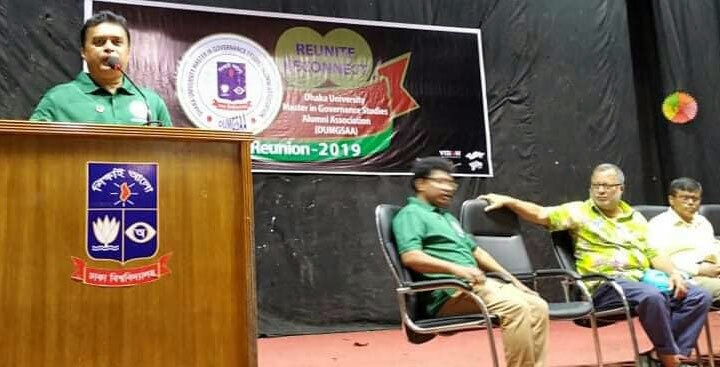 Chief Executive of YPSA Md. 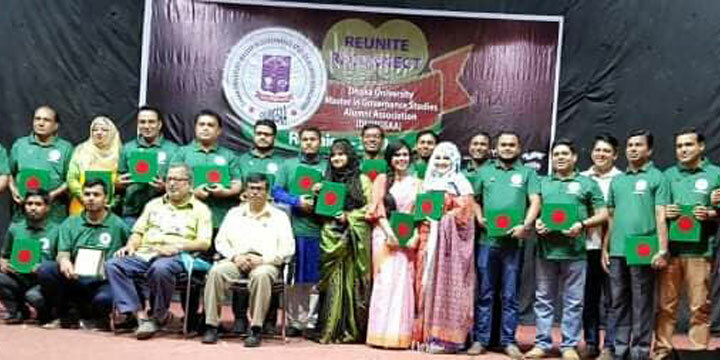 Arifur Rahman has received a life membership memento from the Professor Dr. Hasannuzaman Chowdhury, Chairman of Department of Political Science and Director of MGS and Professor Dr.Farid Uddin Ahmed, Founder Coordinator of MGS at Department of Political Science, University of Dhaka. 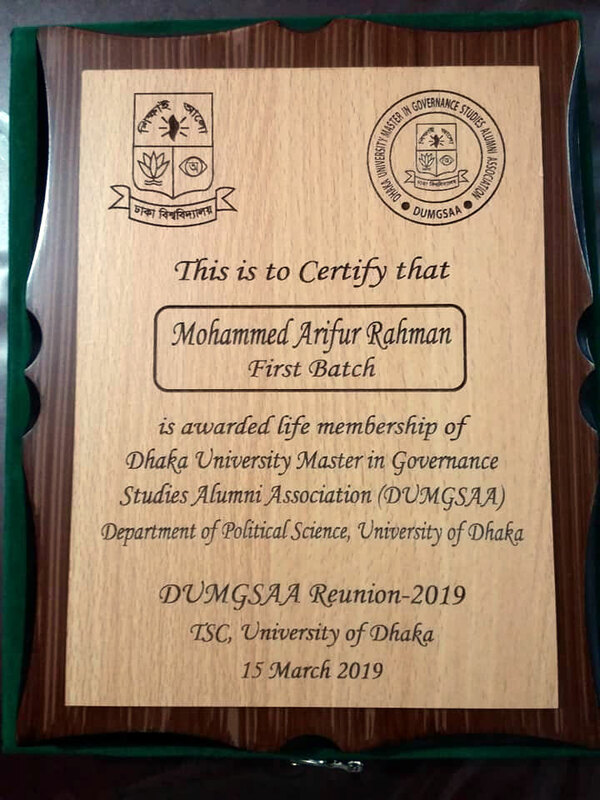 He received this life membership memento in the ocassion of Dhaka University Master in Governance Studies Alumni Association (DUMGSAA) Reunion 2019, which was held at the Teacher-Student Centre (TSC), University of Dhaka on 15 March, 2019.